In saddening news announced today, American novelist J.D. 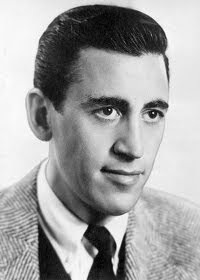 Salinger is said to have died yesterday at the age of 91. Dying of natural causes at his home in New Hampshire, a spokesman reported that 'his health had been excellent until a rather sudden decline after the new year...he was not in any pain before or at the time of his death'. The writer burst into the literary scene in 1951 with the publication of novel 'The Catcher in the Rye'; a work later said to be one of most influential in American history. Giving prominence to the 'rise of the teenager', the book bought with it fame and scrutiny that Salinger was not able to cope with. He spent the last 40 years of life as a recluse, his last public interview being given in 1980.While his novels may have been loved by some and hated by others, Salinger will be missed by all.